Consider this our brief acceptance speech. In a year filled with particularly memorable award season moments, we are incredibly grateful to be able to drink in the spectacle with our Nick family and friends! 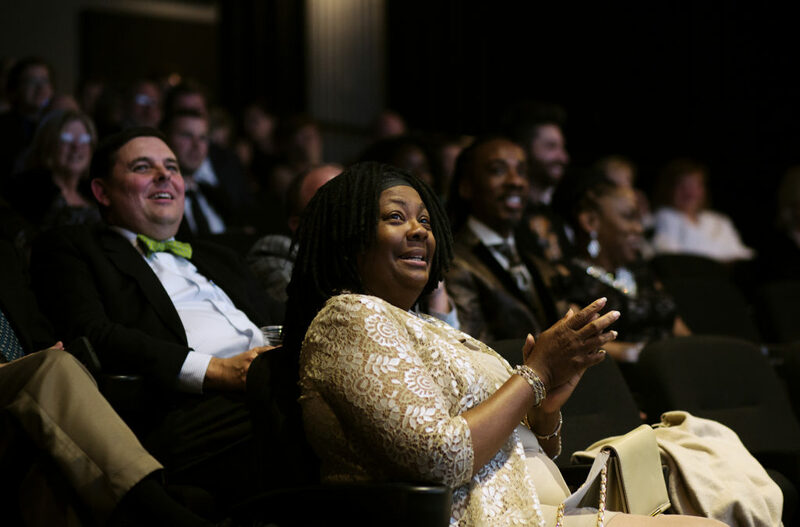 We loved seeing everyone in their best red-carpet-ready garb this past Sunday, laughing, drinking, and furiously voting over the best films and performances of 2016. Thank you to the lovely and hilarious Patti O’Furniture and Larry Hembree for hosting the evening with such wit, and a special thanks to Vow for sponsoring this event, and to Bourbon for providing delicious food to sustain us through the many twists and turns of the night. Now before we’re ushered of this internet stage by the music, (or realize someone else was supposed to be up here), we’d just like to say thanks for all your support, we hope you had as much fun as we did, and we’ll see you at next year’s party! Photo provided by Bree Burchfield. To see more pictures from the night, visit our Facebook page!